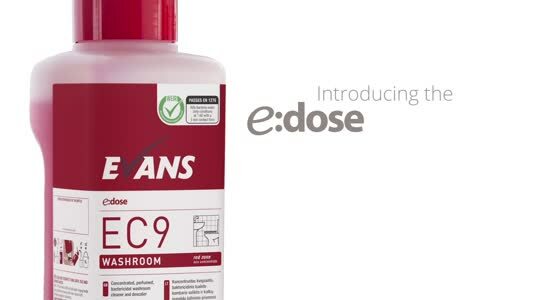 Evans Vanodine’s return to The Cleaning Show London 2019 proved to be a great success, according to the company. After an absence of many years, the show was an ideal opportunity for Evans to remind everyone of all it has to offer the industry, in terms of products and expertise, both in the UK and worldwide. Cleaning Show visitors were introduced to two Tork systems on the Essity stand. A new survey has highlighted ways for pubs and bars to increase customers - by welcoming disabled people. The survey, by Leonard Cheshire, reinforces similar findings from a survey undertaken by Britain’s leading disabled toilet solutions provider, Closomat. Dudley Industries discusses the benefits of providing a washroom toilet roll holder in workplace or public toilet facilities. Oderase, described as the first and only fragrance-free, odour erasing bathroom spray in the UK market, which is made by Aqdot, has been awarded the prestigious Cradle to Cradle certification at the Silver level based on an impartial and independent evaluation of the product’s Material Health, Material Reutilisation, Renewable Energy, Water Stewardship and Social Fairness. "The washroom is an area where the most complaints arise, but it can also be an area of opportunity to showcase the cleanliness and health of an entire organisation,” said John Lombardo, vice president of global marketing for Unger Enterprises. Closomat’s (Total Hygiene) range of shower toilets are said to deliver the most hygienic and efficient wash performance available. Toilet paper dispensers present a convenient and secure means to provide toilet paper within washroom cubicles, explains Dudley Industries. WhiffAway Group, specialists in waterless urinal technology, will be exhibiting at The Cleaning Show at London’s ExCel from 19th to 21st March 2019 on stand number F12. Drainage and utility specialist Lanes Group has welcomed a new official standard for wet wipes that can be flushed down toilets safely – but is keen to see a complete ban on all non-degradable wet wipes. Cleenol Broad Spectrum Sanitiser is an odourless non-tainting skin and surface sanitiser designed for frequent use to reduce the spread of Norovirus, MRSA, E. coli, Legionella, C. diff, Salmonella and Listeria. Leading manufacturer and supplier of away-from-home (AfH) professional paper hygiene and wiping products, Northwood Hygiene Products, invites visitors to come and experience its new and established products – the benefits of which may be discussed over a drink at the on-stand bar with members of its team. The new North Shore range of premium dispensers and consumables from Northwood Hygiene Products is helping the industry to maintain the right balance of presentation and hygiene standards for demanding customers all over the UK and beyond. Just because your washroom looks clean, doesn't mean it is. In this article industry experts Brosch explain how to keep bathrooms hygienic. Are gender neutral washrooms the future? To mark Global Handwashing Day on 15th October, hygiene expert Initial Washroom Hygiene has called on Britons to prevent the spread of common illnesses such as colds, influenza and norovirus by improving their hand hygiene. Could a washroom by any other name smell so sweet? From Paper towels, Blue centre feed and Toilet rolls we offer a wide range of cost effective paper systems, for example 2 rolls of our coreless paper system equates to 9 rolls of branded toilet paper. Rubbermaid’s new TCell™ 2.0 continuous odour control system is sleek, modern and compact. It’s also orientation independent, with the ability to mount to any vertical or horizontal surface—walls, ceilings, and even furniture. The TASKI Swingo 455 can be used in a wide variety of application areas. It is truly versatile for use in all types of small or congested hard floor areas such as retail stores, kitchens, schools, and hospitals. Available in 110 Volt and 240 Volt. The SUPERVAPOR8 permits steam-cleaning of machinery, refrigerators, ovens, work tables, floors, windows etc. reducing the use of detergents, disinfectants and solvents, and eliminating serious problems of disposal, bad smells and toxic residues. Katrin Industrial Workplace Solutions offer a range, where everything is right there, at hand. Rota moulded plastic sack holder, 65 litre capacity, front door opening for easy of emptying, fitted with wheels and silent closing. Nylon brushes are used to destroy chewing gum from all carpets, door bars, matting and seating. Blu Away is Bio-Productions’ highly effective cleaner for washrooms. We provide a range of energy efficient, high performance hand dryers to suit your individual requirements.